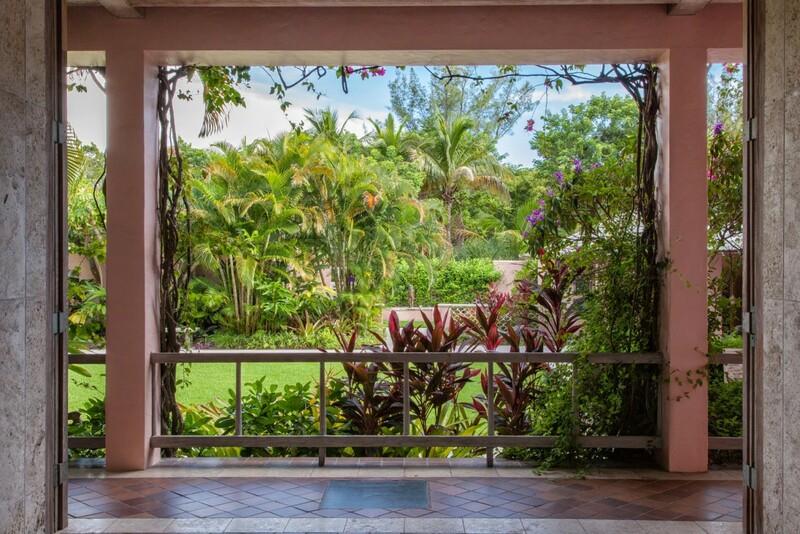 The first image at the entrance to the library is the breathtaking view of the formal gardens framed by the entrance doors. 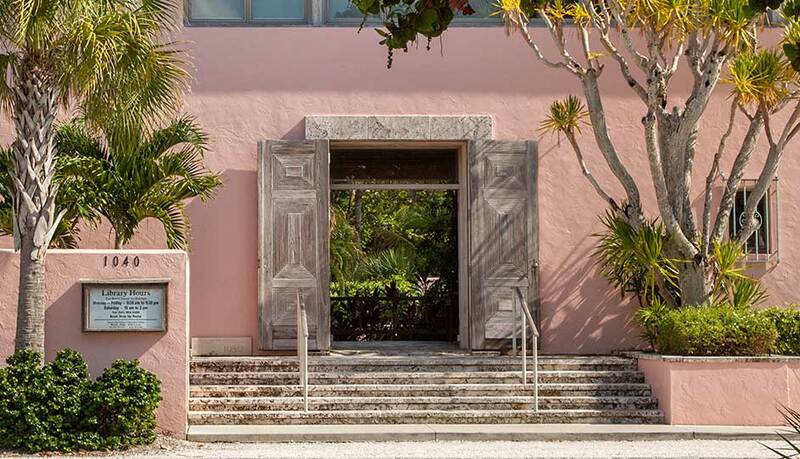 The entry steps and foyer walls are made of keystone coral mined from the waters off the coast of Saint Augustine, Florida. 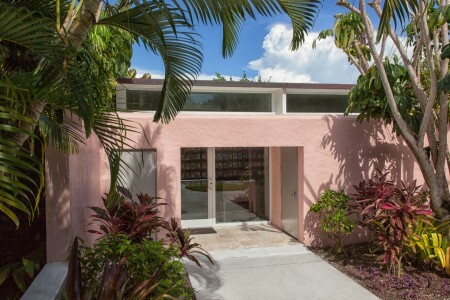 During the renovation, repairs were made with material from the same mines as were used in the original 1950 building. The entry doors, copied from a mosque in Istanbul, and the ceiling beams are both made of local cypress treated with hot lime wash, a process, no longer practiced, that preserves and beautifies the wood. 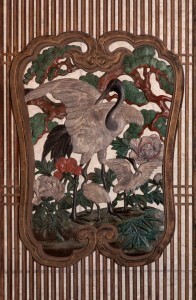 The hand-carved wooden Japanese panels displayed on the wall are from Roger Amory’s collection. 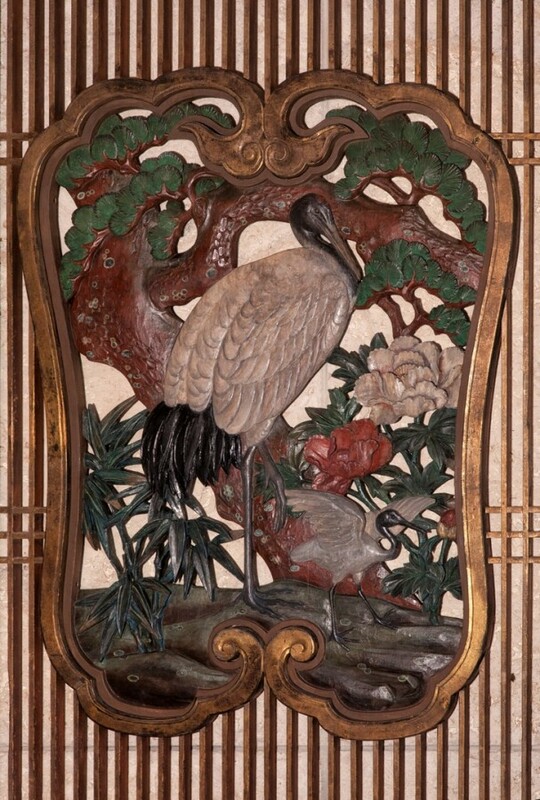 For sixty years they were mounted on the outside doors to the main book room. Deemed to have been made in the nineteenth century, the doors are based on traditional eighteenth century Japanese decorative door panels designed to conceal storage areas in temples. Rustin Levenson, of Art Conservation Associates of Miami and New York, restored the doors to their original 1950’s grandeur. The restoration project was funded in part by a generous grant from the Boca Grande Woman’s Club. On the right side of the foyer, glass doors lead to the main book room for the adult collection. 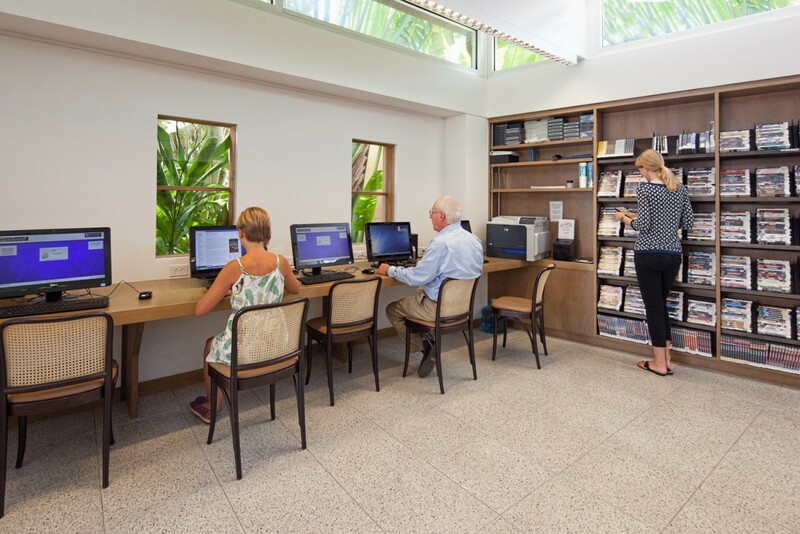 This is the heart of the Fust Library, staffed by knowledgeable librarians who greet patrons, guide them in search of their selections and reference materials, and provide instruction on digital resources. The original terrazzo floors in this room date back to 1950. 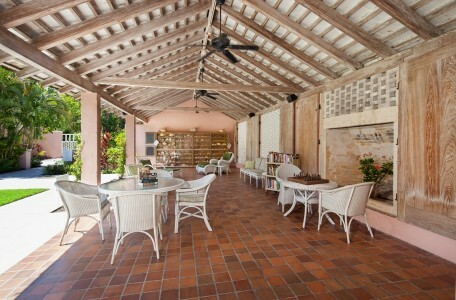 The large reading table and custom cypress bookcases are new. 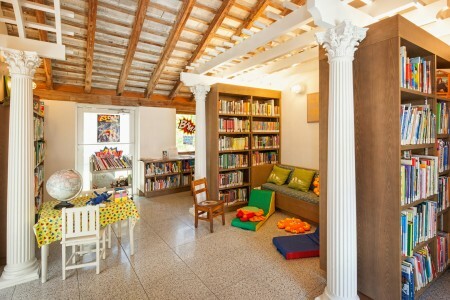 Prior to the renovation the main library room was unattended. Patrons brought books to a front area where the librarian would hand stamp the due date in the back of the book and catch up on the latest island happenings. This tradition of friendly conversation continues at the library today. The staff enjoys answering questions about the library buildings and grounds. 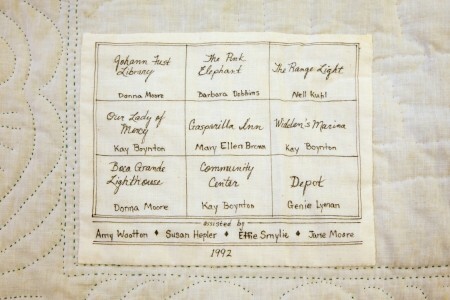 The library hopes to again display a wonderful quilt made by several members of the Boca Grande Woman’s Club. 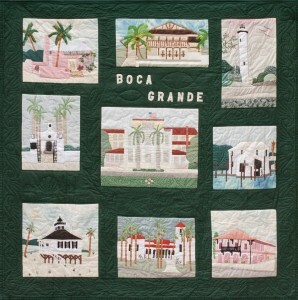 The quilt depicts scenes of Gasparilla Island. 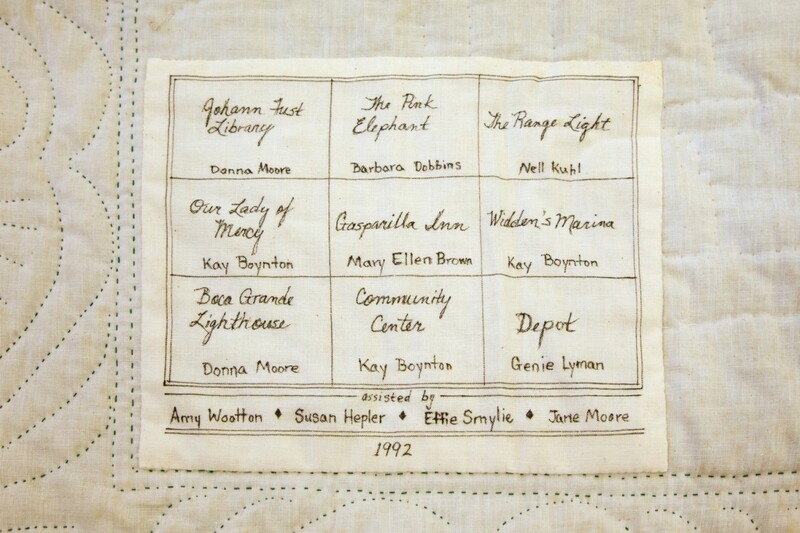 Upon closer observation you will notice little fish, shells and other designs cleverly stitched into the quilting, truly a worthwhile keepsake befitting the library. Artifacts and rare books given by Roger Amory and other donors are displayed to the left of the entry. The Foundation collection includes a page from The Book of the Dead, written in the first century B.C. 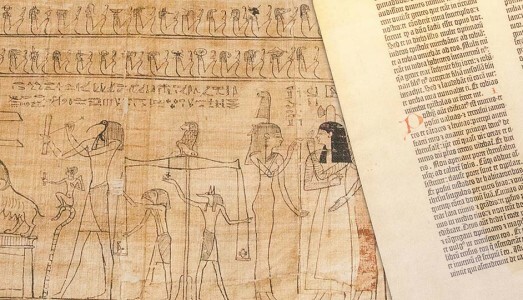 and copied onto papyrus during the first century A.D.; a clay tablet with cuneiform script; several books made of horn, which were used as children’s study aids in England c. 1540; a galley proof page of an extremely small book (under a magnifier); and one of the world’s smallest books, The Rose Garden of Omar Khayyam, one of only 350 copies. The cabinet also houses a leaf from the Gutenberg Bible printed in 1454, the first book printed with movable type, on a printing press financed by Johann Fust. Gutenberg later defaulted on his loan, and Fust produced his own series of bibles on the printing presses he reclaimed from Gutenberg. 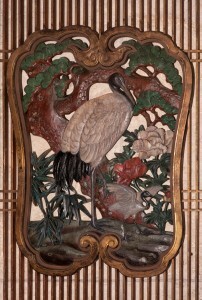 A page from one of those is also displayed in the cabinet. Two framed pages from the Ship of Fools published in 1570 are also displayed. 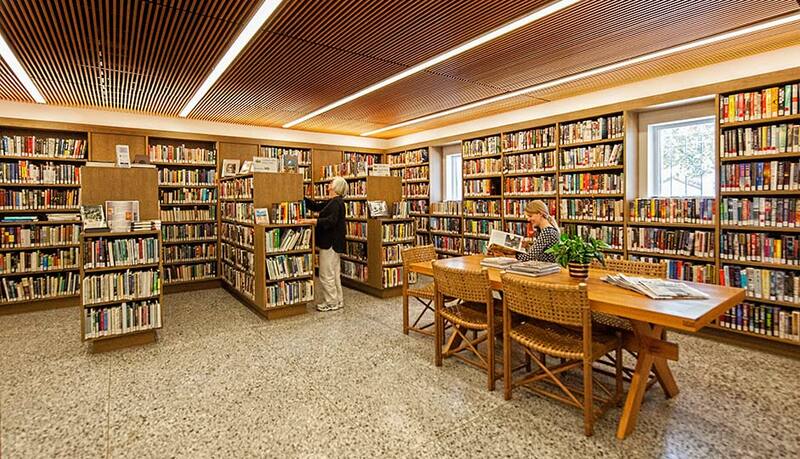 The county library’s reference books are here for public use. On the wall just outside of the James Stratton Reading Room, overlooking the historical garden, is a bronze plaque that honors 378 individuals and 17 organizations and families. They generously contributed more than $1.5 million in just twenty months to underwrite the costs of the JF Library Foundation’s extensive renovation of the 60 year old private library. 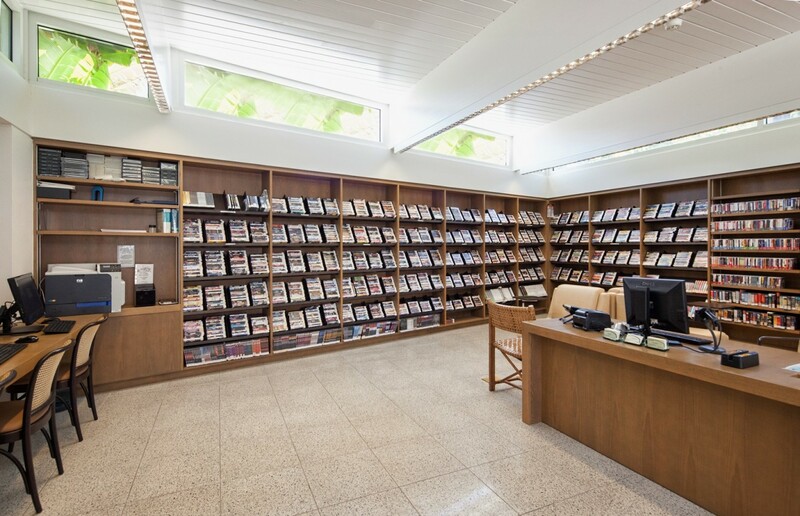 Thus Boca Grande now has an efficient library facility to serve the residents and visitors to our island. 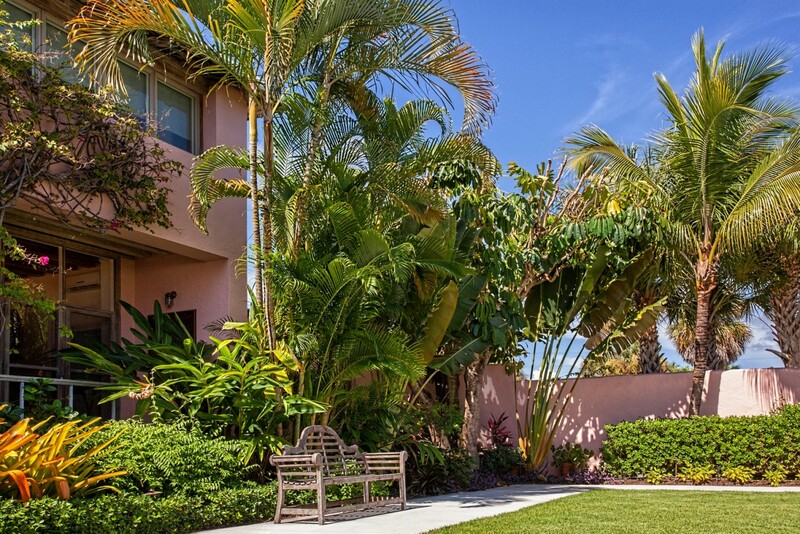 The gardens were originally designed and landscaped by Jack Holmes of Tampa, Florida. 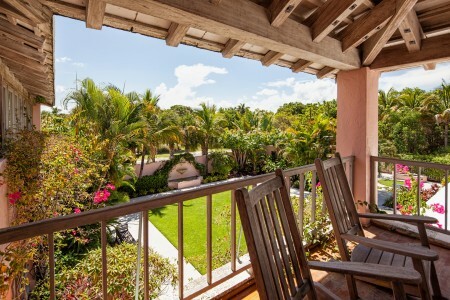 During the renovation, the gardens were reconfigured by landscape designer Mary Ellen Flanagan of Punta Gorda, Florida. 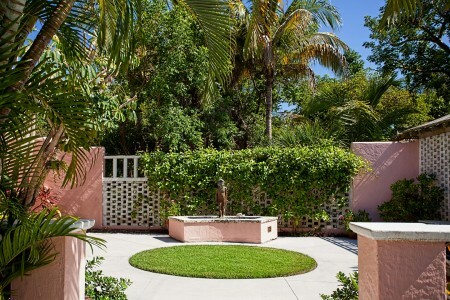 The former scallop shell shaped fountain that graced the center of the garden was a small replica of one found in front of the town hall in Stockholm, Sweden. A new fountain was installed in 2013 on the wall at the east end of the garden with two stylized shells originally from an estate in Newport, Rhode Island. 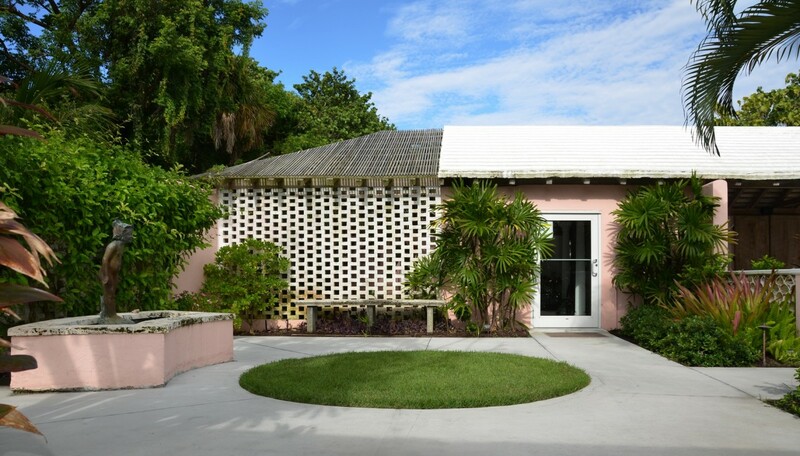 The water spout was designed by local artist Larry Anderson, of Artistic Illusions. 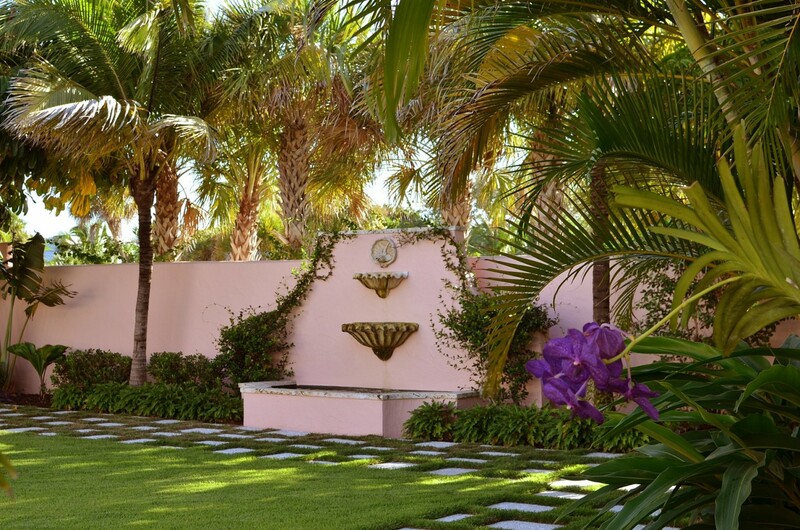 With the replacement of the former fountain, the garden has been significantly enlarged to accommodate larger events. Many of the native plants in the garden are identified with signage containing both the common and botanical names. 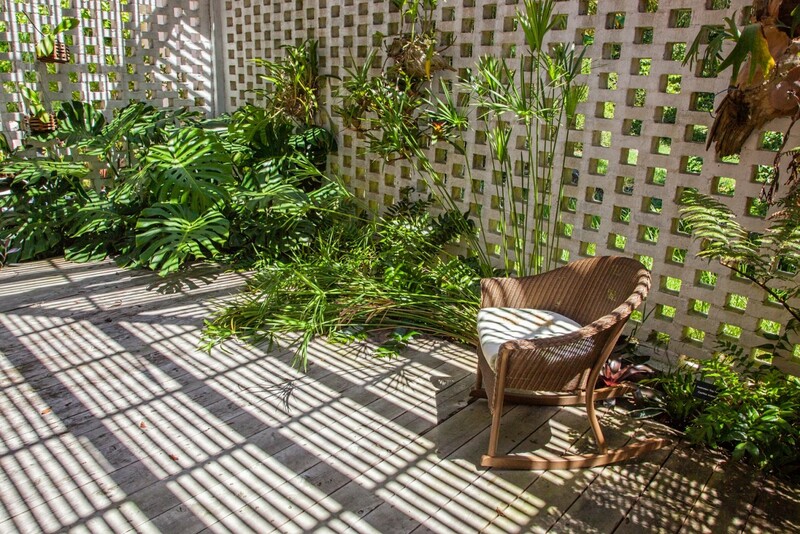 Diagrams of the garden are available from the Foundation office. 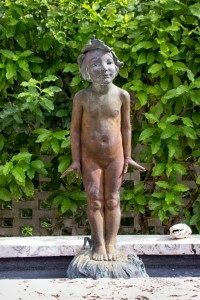 The courtyard contains a nymph-like statue entitled, “Wildflower,” sculpted in bronze by Edward Berge of Baltimore, Maryland (1876-1924). 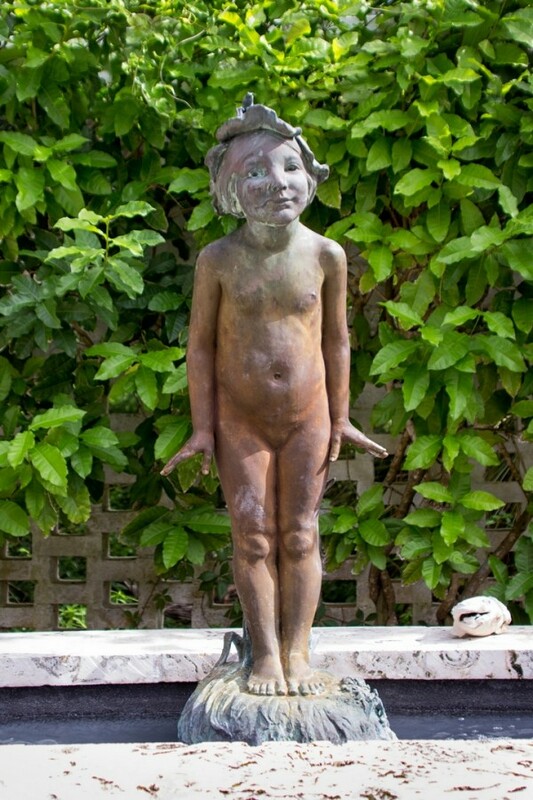 The statue, one of three of his original Wildflower pieces, was selected as the most-loved piece at the 1916 Panama Pacific Exposition in San Francisco, California and was eventually acquired from the permanent collection of the fair. The statue’s fountain was donated by the Planters Club of Boca Grande. It is a replica of the one in front of the town hall in Stockholm, Sweden. In the main garden, there are four heron sculptures by W. J. Frey, of Wilton, Connecticut. Two of the sculptures are life-size; the other two are similar, but smaller. 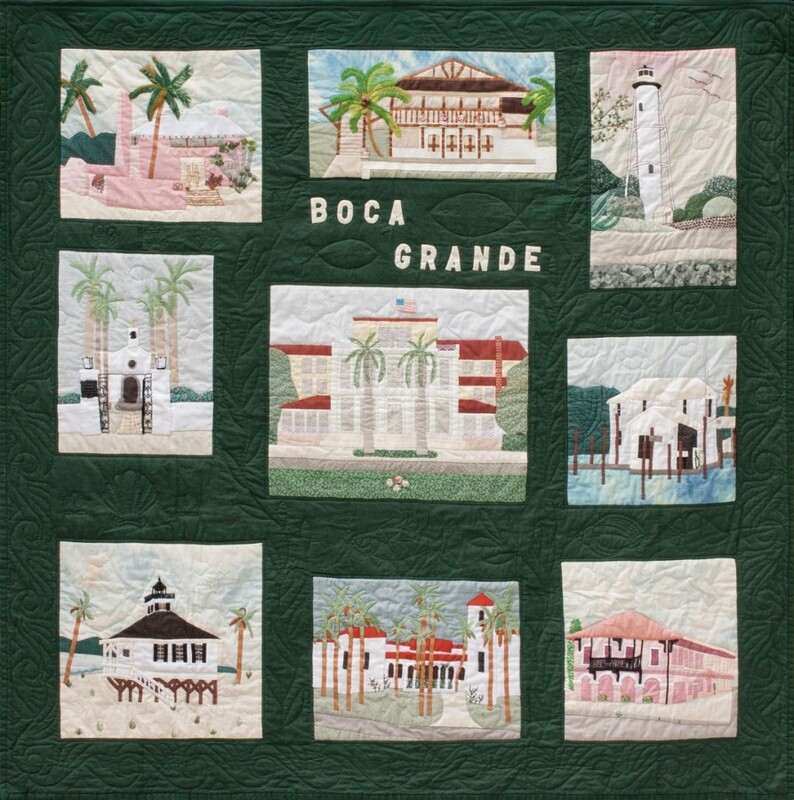 They were donated in memory of Jean and Lilian Baube, former residents of Boca Grande. Other small bird sculptures are found throughout the grounds. 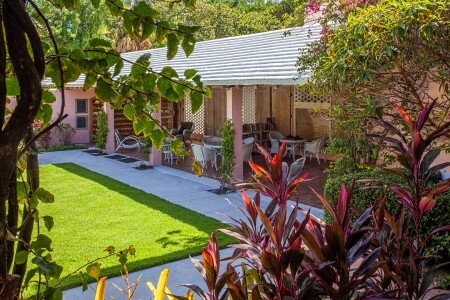 A large kinetic metal bird sculpture is located behind the Cost Cottage. 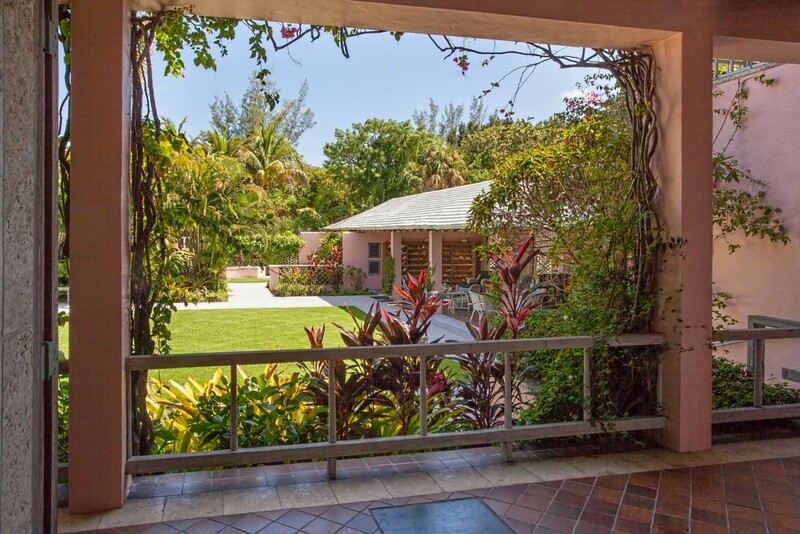 The Library Gardens and Loggia are a very attractive setting for special events and the JF Library Foundation occasionally makes them available for use outside of Library hours to our community members. For information on the fees and conditions, please contact the Executive Director. 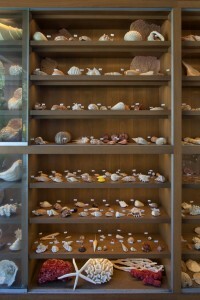 The partially enclosed section of the library’s loggia features one of the island’s largest shell collections. 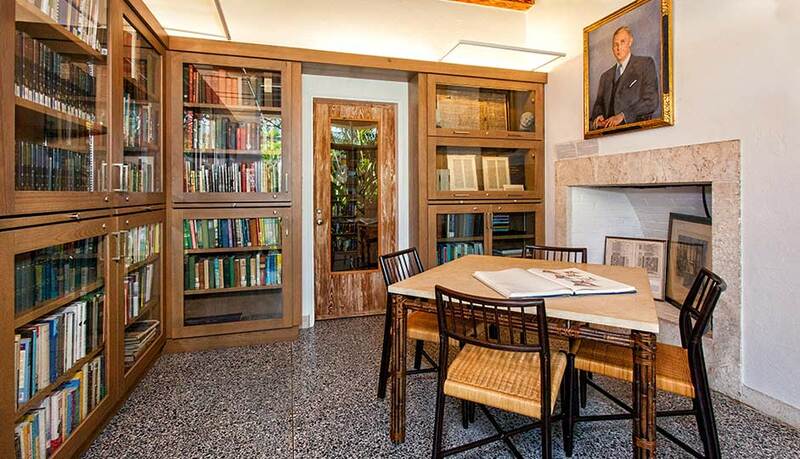 The Henry Francis du Pont Collection, in the two right hand cabinets, donated in memory of Mr. DuPont, was given by family and friends in 1969. This collection was gathered between 1920 and 1969 by Mr. DuPont and his famly from the beaches of Gasparilla and Little Gasparilla Islands. 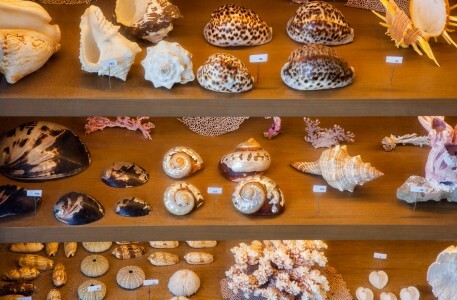 In 1999 Mr. George Melissas donated a beautiful collection of shells from his travels. 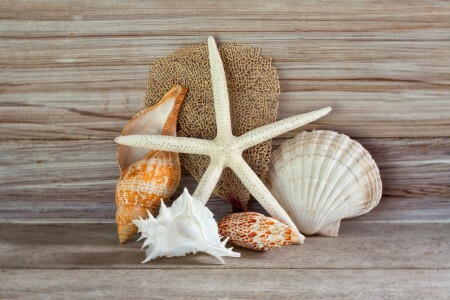 The bright colors and fascination shapes of shells from all over the world are a much appreciated gift for all to enjoy. 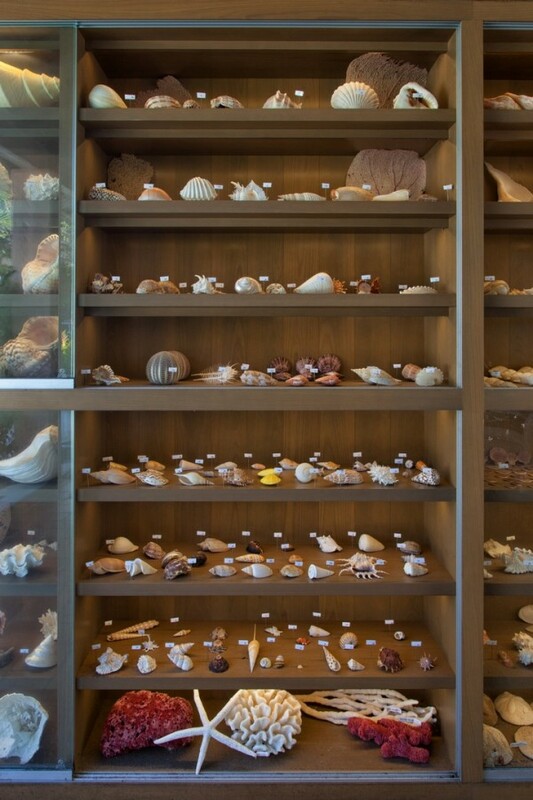 The George Melissas World Shell Collection is housed in the two glass cabinets on the left. Serving as curator, Mr. Melissas oversees both collections. Click here to read more about the shell collections. A Sailor’s Valentine hangs on the wall in the northwest corner of the loggia at the bottom of the stairs leading to the library’s private apartment. 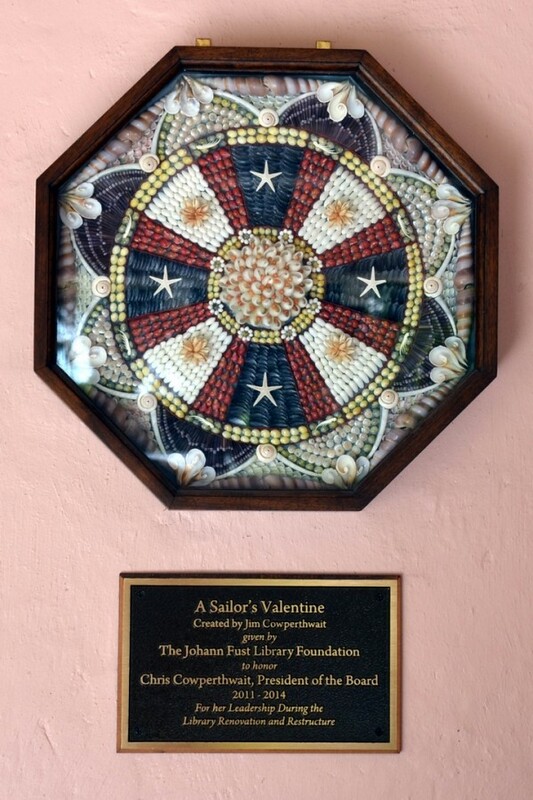 The stunning and intricate “Sailor’s Valentine” is a form of shell craft popular during the 1800s that uses a large number of small shells to form patterns. These were originally made by craftswomen on Barbados and were sold to sailors who brought them home from their voyages to give to their loved ones. This one was created by Jim Cowperthwait in honor of his wife, Chris Cowperthwait, a member of the Fust Foundation Board from 2011 to 2014. Mrs. Cowperthwait was the president of the Foundation during the library renovation. Books for children up to age twelve are housed in this building, formerly the library superintendent’s potting shed. 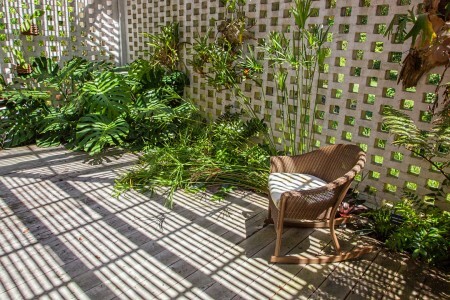 The “Secret Garden,” an outdoor reading room accessible only from the Children’s Library, contains a living papyrus plant along with other lovely plantings. 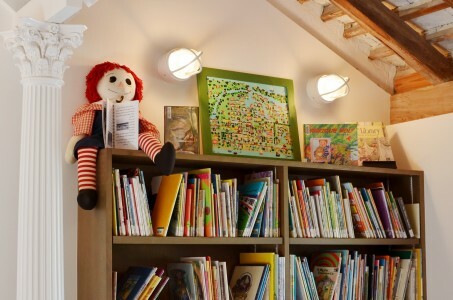 A plaque honoring Mrs. Norman “Timmy” Smith is displayed here to commemorate her many contributions to the library and for her devotion to leading children to an appreciation of the best in literature. Originally a garage, the structure has been modernized into a modern, functional building dedicated to electronic media. Computers, printer, audio books, music CDs, and DVDs and public computers are here along with one of the library’s original wooden card catalog cabinets. A librarian is on duty to assist patrons. Free wireless internet service is accessible throughout the campus.